Jennifer Quist is a journalist and novelist. Her two novels in different genres have garnered praise. Her first, Love Letters of the Angels of Death, won an Alberta Lieutenant Governor’s Emerging Artist Award in 2014 and was a finalist for a 2013 Whitney Award. It was also long-listed for the 2015 International IMPAC Dublin Literary Award. Her second novel, Sistering, won Best Novel in the 2015 Association for Mormon Letters Literary Awards, was long-listed for the Alberta Readers’ Choice Award, and was named a “Must-Read” of the 2015 fall season by CBC Books. 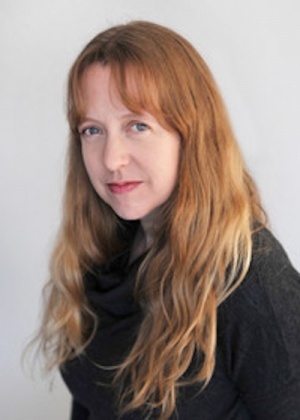 As a freelance journalist, she has written short fiction that has appeared in The Prairie Journal, Filling Station, and NorthWord, and won an honorable mention in the 2015 Sunstone magazine fiction contest. It was nominated for the Howard O’Hagan prize. Her poetry has appeared in The Prairie Journal, Irreantum, and NorthWord. She has written and presented introspective personal essays for CBC Radio One’s Definitely Not the Opera, and Tapestry. Her writings have appeared in magazines including The Awl, Maclean’s, Today’s Parent, Our Canada, and Alberta Oil. She has published commentary in numerous newspapers, including the Globe and Mail and the National Post. Quist was born in northern mainland British Columbia and raised all over Maritime and western Canada. She earned a bachelor’s degree in sociology from the University of Alberta, where she is also pursuing a master’s degree in modern languages and Cultural Studies, transnational and comparative literatures. She and her husband and sons live in the Edmonton area. She is a member of The Church of Jesus Christ of Latter-day Saints. This page was last edited on 18 May 2016, at 15:36.